This page describes how to join a currently running Scrum Poker session. A Scrum Poker session can only be joined by users who may see the issue for that the Scrum Poker session is started. To join a currently running Scrum Poker session there are basically two ways in doing so. 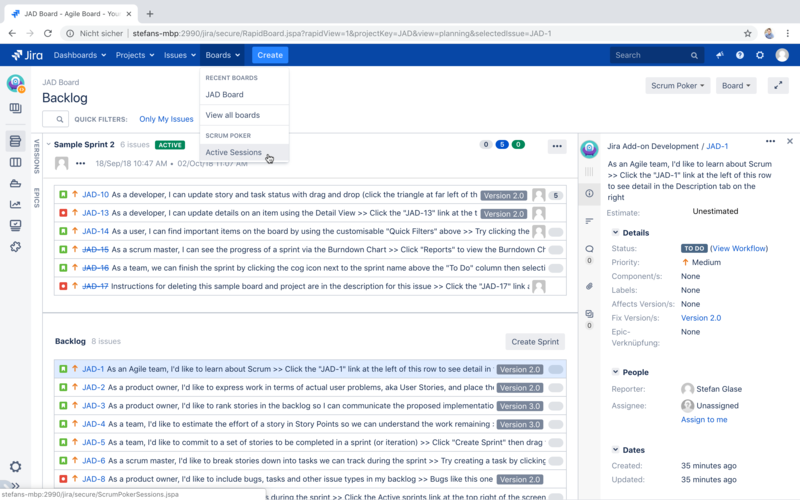 The preferred and easiest way is the so called Active Sessions page which can be accessed from the Scrum Poker dropdown that is visible on every agile board in Jira. 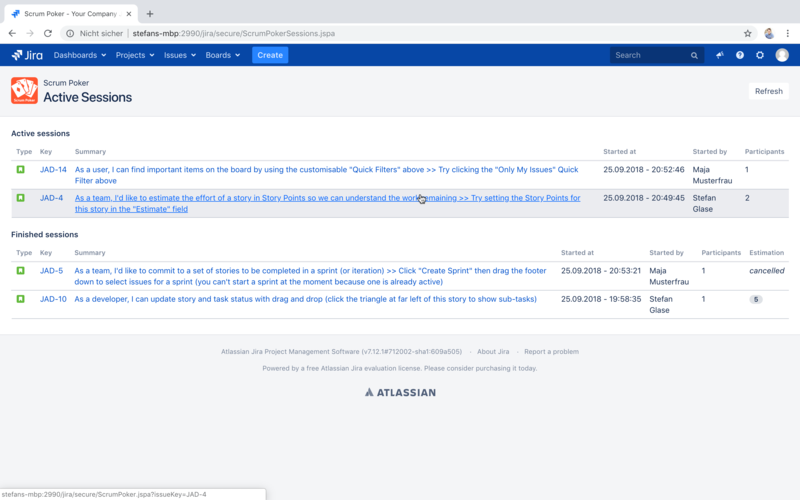 This page can also be accessed from the main navigation menu Boards provided by Jira Software where you can find another Active Sessions link. The Active Session page displays all currently running and recently finished sessions related to issues that are visible to you. It allows you to directly jump into all running sessions. As an alternative you can use all the ways described on the page showing how to Start a Scrum Poker session, too. When a user tries to start a session for an issue that already has a running session the user is being redirected into this session instead. 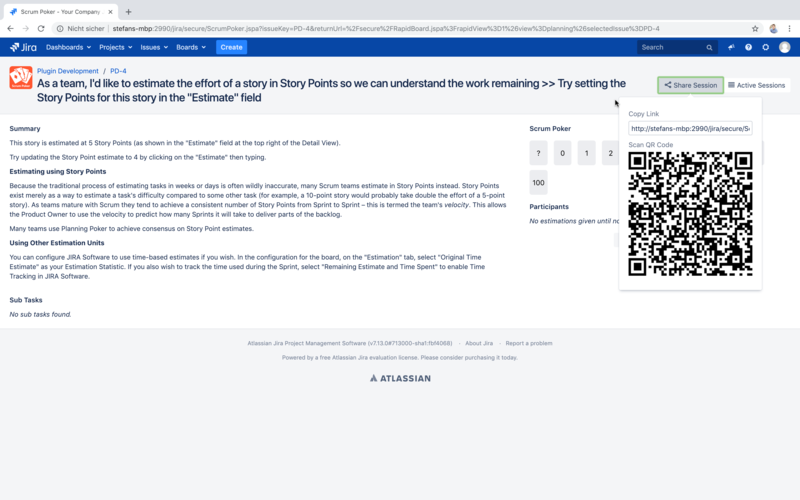 If your team is in the same room and wants to use mobile devices to join a Scrum Poker session they can scan the provided QR code available from the Share Session dropdown on the session page for example visible to all participants on a monitor or projector.